Tenant-focused interior design is about using design to encourage the tenants you want to target. And that can include embracing the next big thing. That’s the approach we took when creating the Alphabeta Building by re-designing the interior of the former Triton Court Building on the edge of the City, in Finsbury Square, London EC2. We wanted to attract the new wave of tech creatives focussing on Silicon Roundabout as well as the highly desirable financial technology businesses. All our design decisions were made with these tenants in mind. And those are the tenants we got – as well as achieving a fantastic result for owners Resolution, who sold the property for £280 million after our two-year transformation of its 240,000 square feet of commercial real estate. About 10 years ago the break-out room and table football machine became a design-norm, 5 years ago it was the terrace giving outside space, and 3 years ago saw the arrival of the coffee bar – now considered almost-standard. For their early-adopters, these ‘gimmicks’ attracted fascination, envy and ridicule. Now no-one bats an eye. 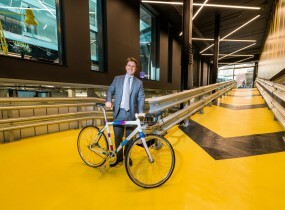 Bike ramp – the next big thing? 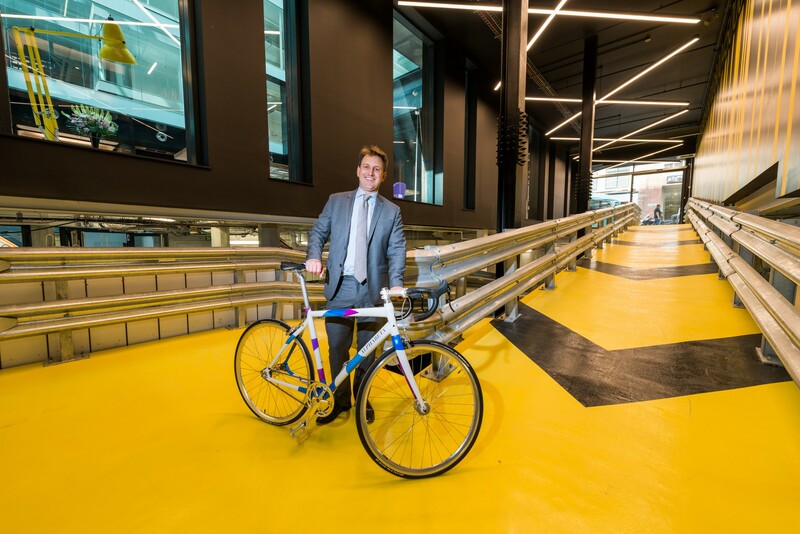 I’m prepared to stick my neck out and say that the Alphabeta Building’s purpose-built ramp from street level to a 200-space bike park in the basement may well herald the norm of the future. Londoners’ love of cycle-commuting shows no sign of waning and cycling straight from the street without lifts or doors to a secure store is a free-wheeling joy. And that’s why it’s there, instead of more leasable office or retail space on the ground floor. 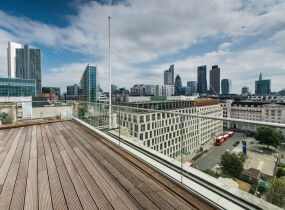 Square footage and location are not all that matters – a view we share with Resolution, who saw Alphabeta fully let with rents in excess of £60 psf and rising. 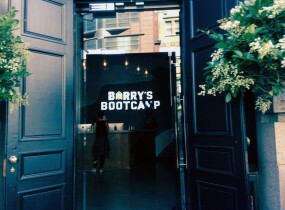 A basketball court, Barry’s Bootcamp and a yoga studio have also given the building extra USPs, in addition to the standard communal terrace and coffee bar. Alphabeta’s location was neither City nor Shoreditch, but City meets Shoreditch so it had to appeal to ‘2 tribes’, as we boldly named them in our marketing literature – and not fall between them. Both groups are coming at the building from different directions, literally – the former from north of Finsbury Square and the latter from the southern City heartlands. But our design bore that in mind. For the creative tenants’, we carved out a new entrance on the northerly Shoreditch side, giving them access from their old haunts, while the original southern doorway opens City-side. Having a designer and the right marketing team who identify with the tenant target market really helps, I think. And that’s why we chose architect Richard Hywel Evans for the Alphabeta refurb. Not only is Richard based in Shoreditch, he’s a keen cyclist. Village Green and Modern and Original, used for the marketing, all live and breathe Shoreditch and opened the building to the media sector where no other ‘property’ angle would have succeeded. Our design decisions got the results we’d hoped for. We attracted We are Social, Open Table, WPP and Mendeley from Clerkenwell and Shoreditch. Finance company SEI came from the West End and Silicon Valley Bank moved from the City. Trends in new tenant types, such as the ‘bearded creative’ and commuting trends, such as ‘Lycra cycling’, are just some of the influences on today’s workplace design. 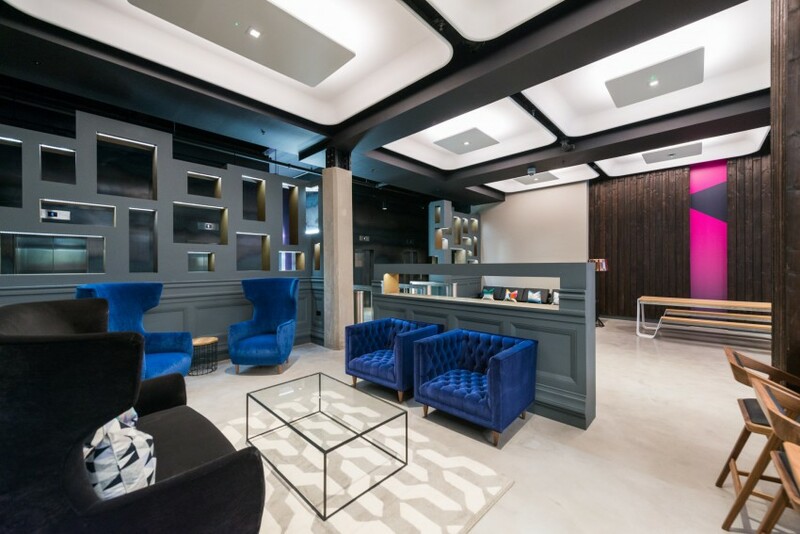 At the risk of sticking my neck out again, I think office designers have a lot to learn from the rise of the flexible co-working office such as those provided by WeWork. Here people can cycle to work and take a shower, before working singly or in small units – either in closed rooms or at shared tables. 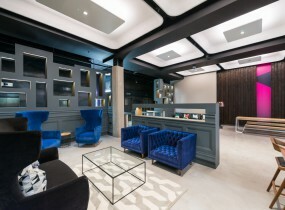 Later on they can come together in common spaces, such as bars and games rooms to socialise, make connections and communities, and ultimately to build businesses. The design of co-working offices affords a choice of working privately or communally, depending on one’s mood. It also replaces the uniformity of the large open-plan office where no-one wants a desk near the kitchen and where the only enclosed spaces are bookable meeting rooms. Watch this space – literally. 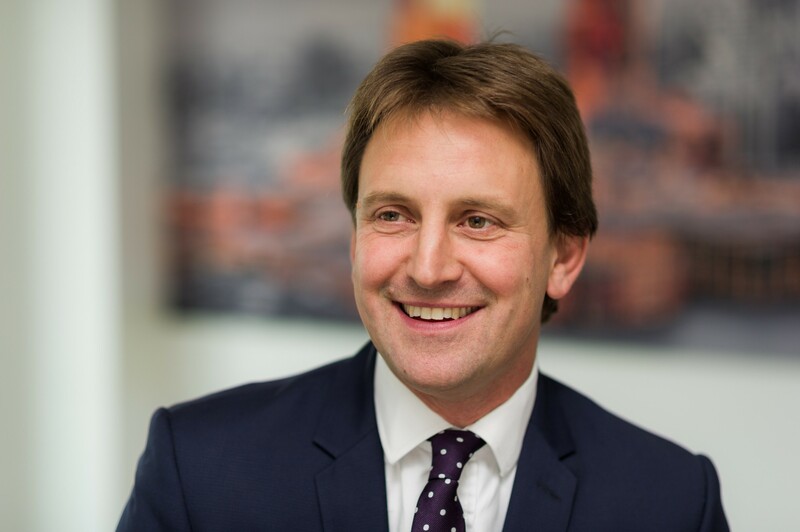 James is a Partner in Allsop’s City Business Team and specialises in office development and leasing, working with both Landlords and Tenants. 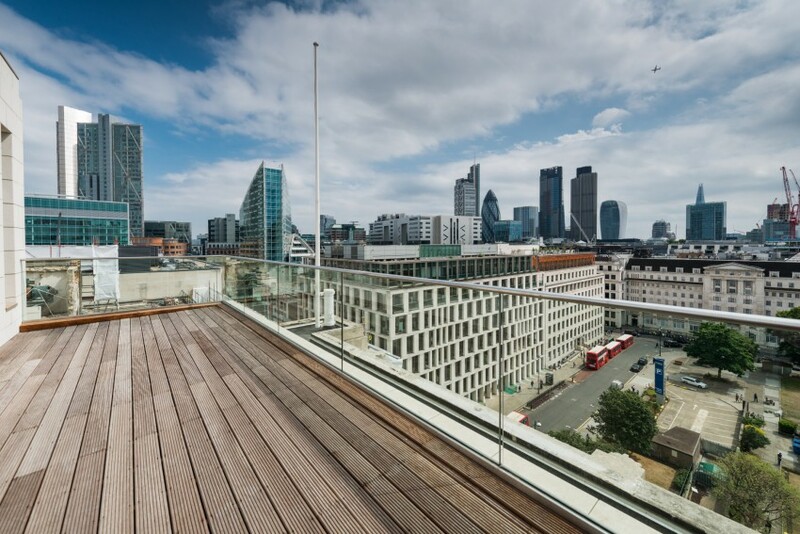 James has provided strategic advice on UK property issues to a number of major corporates, and now concentrates on the London City Market, Midtown Southbank and Canary Wharf. You can contact James for advice on office development and leasing at james.neville@allsop.co.uk or call him on _+44 (0)20 7588 4433.